Please join West Angeles Church of God In Christ as we wish Presiding Bishop Charles E. Blake a very Happy 78th Birthday! We are truly thankful that God has blessed us with a shining example of a family man, a leader, and a role model! As Presiding Bishop to the Church of God In Christ denomination, Bishop Charles E. Blake Sr. is one of our nation’s modern day heroes and we are proud to call him our spiritual leader. He is the pastor of West Angeles Church of God In Christ, which maintains a membership of over 24,000. Visit VOD.WESTA.TV to download your favorite sermon on demand. 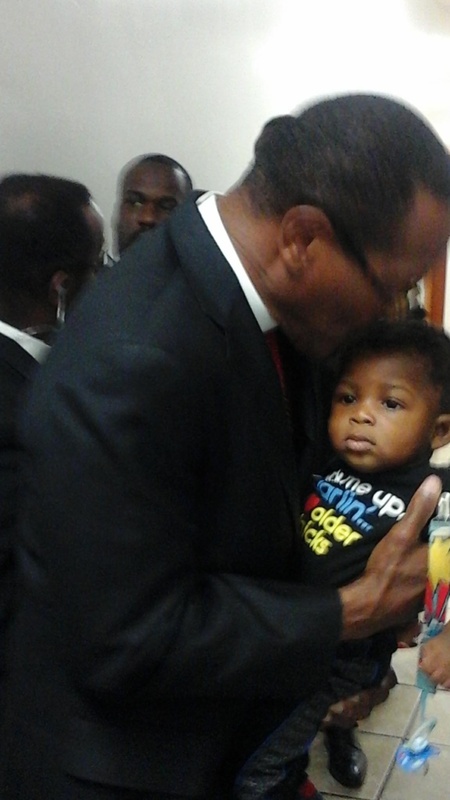 Bishop Charles E. Blake is the epitome of a servant. His entired life is – and has been – dedicated to loving his fellow man more than himself. He is first a husband to Mae Lawrence Blake. Together, they have three children and eight grandchildren. Bishop Charles E. Blake is the author of Free to Dream and Encountering God. His books focus on the enhancement of life and how to have a more fulfilling relationship with God. He also published The Legacy Conference Set, specifically for those who want to expand their own ministry. Happy Birthday Bishop…..Kesha’s Dad. At least I follow online..Living in Banning, CA. Will get down for worship at church soon! May God bless you with many more for you are a true blessing to life itself. A lot of us would be lost without your guidance and your prayers. Thank you for everything you do in helping to improve people’s lives throughout the world. Happy birthday Bishop Blake. We love you! Happy, Happy Born day, may you be Blessed with many more. Thank you for loving us all and blessing us with the Word. Happy Birthday Bishop!!!! I pray that God continues to use you as you lead the masses, you have done an amazing job! I am so godly proud of you! Thank you! Happy Birthday Bishop Blake I wish you many more God bless you! Happy Birthday Month Bishop, you deserve it! I celebrate the entire month of June! Life is such a blessing especially when you have been chosen to do HIS work. You may not know how much of a spiritual compass you’ve been for me. May GOD continue to Bless you with peace, love, joy, health and the gift to lead so many. Happy birthday Bishop Blake! You inspire me to be a better version of myself EVERY Sunday! Birthday Blessings to our Pastor, Bishop Charles E. Blake. May God continue to bless you with good health and happiness. As a member of West Angeles for more than 20 years, your Spiritual Guidance has truly blessed our lives. I, your marital advice and encouragement has blessed us with a very happy and loving marriage. It is such a privilege to be members of West Angeles under the tutelage of the Presiding Bishop of The Church of God in Christ and Pastor of our church because you are the best, most honorable, loving and caring pastor in the word. Enjoy your special day Bishop Blake, well deserved. Happy birthday Bishop Blake May God continue to bless your life. Happy Birthday, Bishop Blake, I pray that you have a truly blessed day. Happy Happy Birthday, Blessing be upon your many more years to come. Bishop, happy, happy birthday! I am so happy to be a member of the WestA Family and proud to call you my spiritual father. The world is truly blessed because of your dedication and love for God. Thank you and we love you! Happy Birthday to the best pastor in the world, I love you so much Bishop!! Thank you for all of your hard work, and for being an amazing mad of God. I pray that God bless you with mannnnny more. 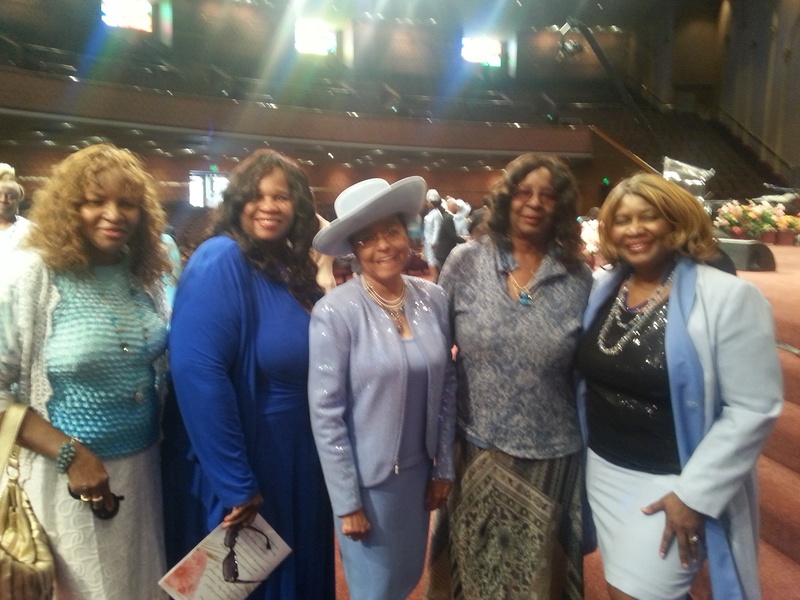 We at West Angeles, and around the world are truly blessed to have you, and First Lady Mae as our spiritual leaders . Have a wonderful day! Happy birthday to the best Pastor, Presiding Bishop Charles E. Blake, Sr. Bishop, may you experience much strength, joy and peace as you approach each day. You are so deserving of all that is good. Thank you for taking the time to teach us how to be stewards. Thank you for being genuine. There are so many reasons to say thank you. .. So thank you and Happy Birthday! Love you! Happy Birthday Bishop Blake, best wishes on your 78th year. God Bless You Bishop Blake on your 78th birthday! We hold you precious in our hearts & thank God for you & Lady Mae. Continue on Sir and know that you are loved by many. Happy Birthday, Bishop Blake. We love and appreciate your leadership. Melton & LaQueta Timmons in Texas! Happy Birthday Bishop Blake!!! May God bless you with many more!!! Happy Birthday Bishop Blake, you’re an awesome Teacher and Leader. Thank you for decades of dedicated, annointed service. Be blessed and restored daily!! You are truly a humble Man of God. 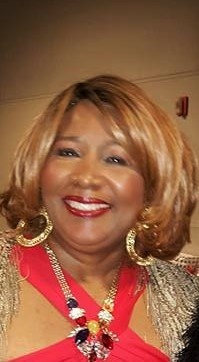 Happy Birthday Bishop Blake from Flenoid and Dorothy Harris and may the Good LORD bless you with many, many more! Happy Birthday Bishop Blake! We love you and thank God for you!! Enjoy your special day. May God continue to bless you. Happy Birthday Bishop Blake! May God continue to shower you with countless blessings. Happy Birthday Bishop!! We love you dearly!! Happy Birthday Bishop Blake!!! May the Lord continue to extend your years for Many More!!!! Proud to have you as our Bishop!!!! Blessings too you Bishop Blake, Happy Birthday!!! Bishop Blake I saw you in the future and you look much better at 78 than you do right now 🌚. Happy Birthday Bishop 🎉🎈🎊! Happy Birthday Charles E. Blake. I am fond of your sermon introductions. I will always remember you said jog at least 30 minutes a day. We love and appreciate how you have allowed God to use you so mightily to touch so many and how you feed us fresh bread every week!! We see you right now and you keep getting better and better!! Happy Birthday Bishop Blake! Love u and your Legacy! Dreamers are coming!!!!!!!! WOW! I am so blessed to have a Bishop like you. Your love for WestA is prominent and felt. Happy B DAY and thank you. HAPPY BIRTHDAY 🎂 AND MANY MANY MORE!!!! HAPPY BIRTHDAY, BISHOP CHARLES EDWARD BLAKE, SR.!!! May the Lord, God bless you real good on your special day. Happy Birthday Bishop!! May God continue to bless you with many more. Happy Birthday to the worlds GREATEST Bishop!!! Wishing you many more years. Praying God continues to bless you & give you strength! Love you! Have a wonderful birthday, Bishop Blake! We are truly blessed by your spirit and your enthusiasm for studying and teaching God’s word. Thank you for taking time out to pray for me in the Crystal Room when you found out that my mother had made her transition. That meant a lot to me. You are truly a dedicated servant of the Lord! Please take time out to be with your wonderful family. Happy Birthday, Bishop Blake! Happy Birthday Bishop. May this day be recorded in your memories as one of the best you have had. Happy Birthday Bishop Blake; and many more! Have fun and thank you for all of those great sermons that has directed me in life. Bishop Blake. You’re definitely a stalwart for Christianity and the COGIC faith. Wishing you all the best on this, your 78th birthday. Happy birthday 78th birthday Bishop Blake. You are an amazing Pastor. Enjoy your special day. Happy Birthday Bishop Blake, enjoyed the services there during the second week of July. Thanks for the picture. Commissioner Robert S. Ellington-Snipes. 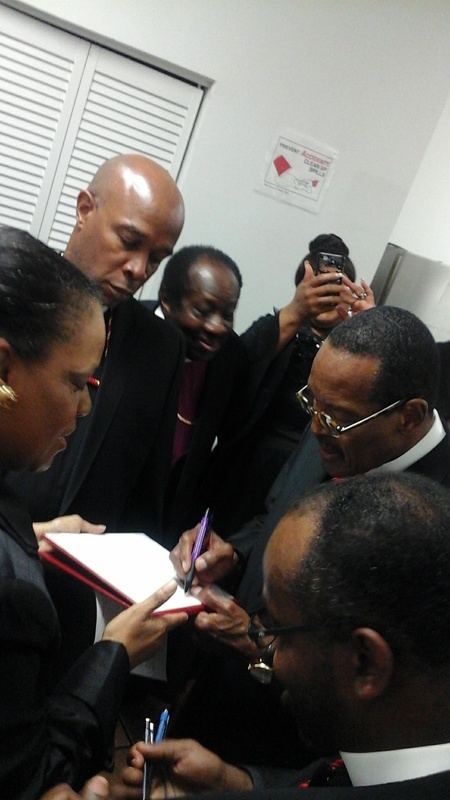 All Praises and Glory be to God for blessing West Angeles with Bishop Charles E. Blake. HAPPY BIRTHDAY BISHOP… Bishop Blake you are such an intelligent, business minded, Holy Ghost filled, humble and loving man of God. I have been a member at West Angeles COGIC for almost 20 years and I have worked in WEST A Counseling Center and for SAVE AFRICA’s Children for several years. In both of the work environments I felt the presence of God’s mission and the strong leadership of Bishop Blake’s intellect and connection to the Holy Spirit at work making sure God’s outreach covered the needs of the congregation and the global populations. I love WEST A and I Love Bishop Blake and Lady Mae with all my heart, THANK GOD FOR YOU BOTH…. May the Lord continue to bless and prosper you on this day. You are truly a blessing to me, my family and others. Thank you Bishop Blake for all of the spiritual lessons, Godly examples, and agape love that you have extend to me and my family over the past 35 years. You are my best example of a Godly Man and I pray that you have good health, much love, a happy happy birthday and many many more to come. God Bless you. Bishop Blake you are a gift to so many people and God has blessed me to be one of your friends. Happy Birthday!! Happy birthday Bishop Blake I start first by thanking God for allowing you to be apart of my life. I truly believe that God is awesome and he is blessing us all. Enjoy your day Sir. May God continue to bless you.. This year has been bittersweet. February 21st our family home burned down and we lost everything and then March 10th my mother died from a massive heart attack . Bishop Blake came to our convocation in June. He signed the resolution I was sent for my mitger, Evangelist Bonnie Green’ s Homegoing service and then reached over, picked up my grandson, Adus’Ray and kissed his forehead. Look, I’ve always love Bishop & Lady Blake but these 2 acts by our Presiding Bishop soothed the pain that I’d been living and drowning in . I Love You Bishop Blake!!! Happy Birthday Bishop Blake. Wishing you the best on your special day. Happy Birthday Bishop Blake! Thank you for your wisdom and guidance throughout the years. All the best!!!! Bishop Blake, you are a true example of a man of valor and Godly character, in which you are my inspiration. Happy Birithday and God bless you with many more. Happy Birthday Bishop Blake…May God Bless you to see many many more……I always enjoy hearing you sing on Sundays….your songs of choice takes me back to my childhood growing up in the COGIC….There’s an old song we use to sing: This is the Church of God In Christ…This is the Church of God in Christ…you can’t join it..you have to be born in it….this is the Church of God In Christ…. Happy Birthday Bishop. Happy birthday, Bishop! May God continue to pour out his blessings on you! Happy 78th Birthday, Bishop Blake! Thank you for your stellar leadership, selfless sacrifices, and excellent example to the Church of God in a Christ and the world at large! May you continue to live a long, healthy and prosperous life! Blessings! Happy Birthday Bishop!!! Thank you for letting God use you and staying true to the Gospel. May God continue to bless you and your family and use you as a example. Happy Birthday to the Most Amazing and Kind Bishop on this side of Heaven. I pray God will continue to give you long life and longevity. Moreover, that God releases to you an abundance of wisdom. Thank you for being a pastor of integrity and a godly man I can trust. I pray God prospers your way and grants you supernatural strength to fulfill every assignment. Happy 78th Birthday blessings Bishop Blake. Happy birthday Bishop Blake! We love you so much, yes we do. Twinsburg Heights, Ohio Church of God in Christ Philippians 1:9 And this is my prayer: that your love may abound more and more in knowledge and depth of insight, 10 so that you may be able to discern what is best and may be pure and blameless for the day of Christ, 11 filled with the fruit of righteousness that comes through Jesus Christ—to the glory and praise of God. Happy Birthday Bishop Blake. From Pastor Dwayne Jones & The Living Water Worship Center in Lancaster California. God bless you Bishop to see many more prosperous years….God bless you..
May today be filled with much joy, laughter and happiness. I pray for the Lord to continue to always protect, guide and keep you. Thank you for being my Spiritual Father and Leadership for over 28 Years. I Love you, Lady Mae and your 1st Family. Bishop, you have been such a blessing to me, my family and West Angeles. Happy Birthday! May God bless you with many, many more! Thank you Bishop Blake for being such an awesome leader and teacher. It means a lot to actually learn from your sermons and be able to spread to others what I have learned. I can carry the lessons in my heart. Happy Birthday! Happy Birthday Bishop! Wishing you many many more blessed years! Happy birthday Bishop Blake!!!! Wishing you many, many, many more birthdays and continued health & strength. We love you!!! Happy Birthday Bishop…I pray for many years of blessing through your ministry and family. Thank you for all you’ve done! May God Grant you all the desires of your Heart Forever!!!! Happy Birthday, Bishop Blake!! I love you with the love of the Lord!!! Happy Birthday Bishop Blake. You are a gift from God. I appreciate you and your ministry. May God God continue to Bless you. World Missions Celebration - The C.R.E.W. LeBron Seeks to Influence Education With ‘I Promise’ School Education Enrichment: Should Students Attend the College of Their Choice?